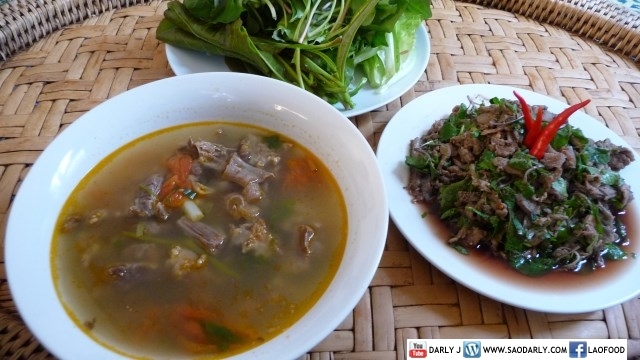 Lunch in Vientiane Laos with Laap Sien or Minced Beef Salad and beef soup to go with the salad, made by my two aunts. 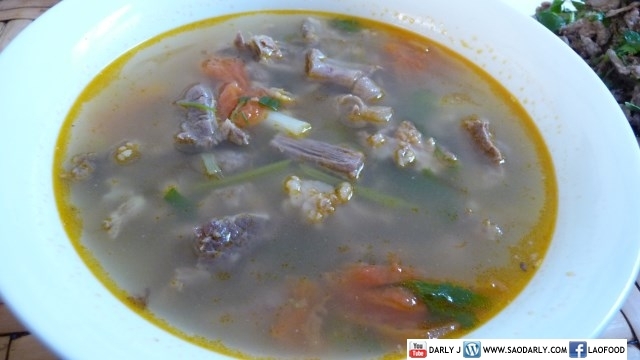 The Minced Beef Salad was served with vegetables on a side and warm sticky rice. I’m not much of a beef fan and I can go a year or two without eating it while living in Holland. 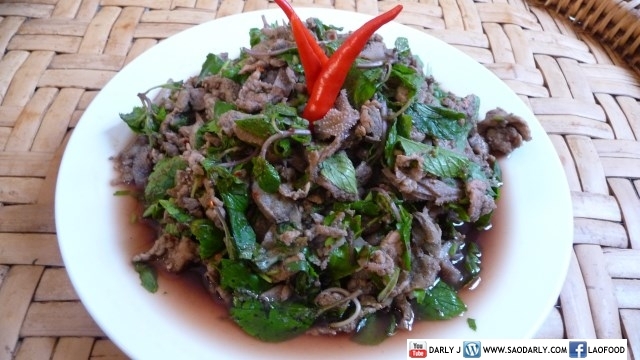 But whenever I go to Laos, I would eat Minced Beef Salad at least once like before my plane takes off for good luck.